ZigBee 3.0 is one of several wireless communications standards in the works to link up appliances, light bulbs, security systems, thermostats and other equipment in homes and enterprises. If all those devices could talk to one another, the thinking goes, developers could come up with many new applications to make life easier and homes and buildings more efficient. For that goal, ZigBee may have suffered from being early out of the gate. The standard’s been around since 2004, when most wireless networks were only designed for one realm, such as utilities or health. As a result, it was implemented with different profiles for each environment and each type of setup, from professional installation to do-it-yourself. That also saved manufacturers from having to implement a broad set of capabilities in the expensive, limited memory of embedded systems, said Ryan Maley, director of strategic marketing at the ZigBee Alliance. But times, and technology, have changed. “There’s no real need to do that level of fine optimization, and now we can support multiple environments ... in a single standard,” Maley said. Profiles have led to separate networks for different uses of ZigBee in many cases. For example, a house that uses ZigBee for lighting, energy management and health care may have three networks that can only communicate with each other through a bridge device or the cloud, Maley said. The goal for the Internet of Things is to connect as many devices as possible so they can be used together in new ways. For example, when a thermostat turned on the heat, it could direct another system to automatically close the drapes so heat doesn’t escape, Maley said. Today, those systems might be implemented using different profiles and be on separate networks. ZigBee 3.0 would let them communicate directly. The planned standard is good news for CentraLite Systems, which makes connected-home products sold through retailers, according to CTO John Calagaz. Some consumers want to use the company’s ZigBee Home Automation switch to control light bulbs that use the ZigBee Light Link profile, but they can’t do that today without a bridge device, Calagaz said in an email interview. 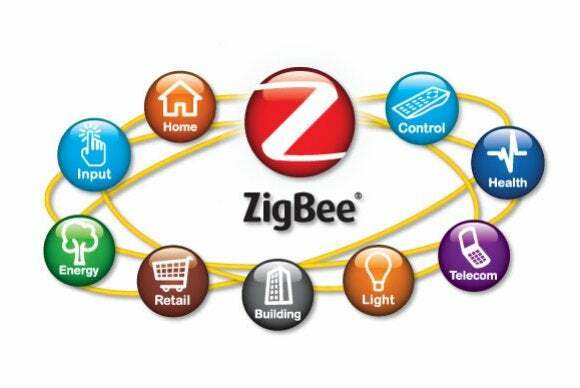 But the biggest benefit of ZigBee 3.0 will be consumer awareness, Calagaz said. As the home automation market expands, multiple groups are pushing technologies to unify IoT. Earlier this year, smart thermostat pioneer Nest, now part of Google, launched the Thread Group in hopes of spanning all types of connected home devices. The AllJoyn technology originally developed by Qualcomm is also designed to knit wearables and IoT devices together. The market for low-power networking protocols is also crowded, with ZigBee alternatives including Z-Wave, Bluetooth Low Energy, and 6LoWPAN. The Alliance gave its member companies a draft of the ZigBee 3.0 standard today and expects it to be ratified next year. The standard will be demonstrated at the International Consumer Electronics Show in January. Some ZigBee devices would support 3.0 automatically, while others may be upgradable in the field.